Hotel franchise Choice Hotels International, Inc. is going the extra mile to leverage online reviews generated by guests – and to ensure that these reviews come with an added layer of authenticity. Recently, the company announced the launch of a new online system – Verified Reviews – designed to enable real guests to enter their booking confirmation numbers in order to write reviews of and rate any of its 6,300-plus hotels (totaling over 500,000 rooms). The system welcomes hotel ratings and reviews if the stay was completed by guests within the last 180 days. It also features a five-star rating system, which is based on what the company calls Overall Experience scores. Choice Hotels owns the brands Comfort Inn, Comfort Suites, Quality Inn, Sleep Inn, Clarion, Cambria Suites, Mainstay Suites, Suburban Extended Stay, Econo Lodge, Rodeway Inn, and Ascend Collection. 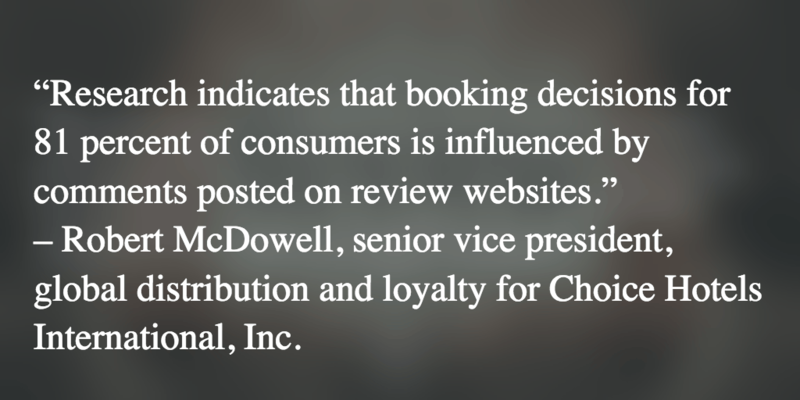 The move to launch a system for verified online reviews mirrors what the InterContinental Hotels Group did just a little over a year ago, when it launched its Guest Reviews and Ratings system for all its hotel brands worldwide. According to the latest research, reviews play a major role in travelers’ decisions when booking a hotel. In fact, online review sites now rank ahead of personal recommendations and guidebooks as a travel planning resource. 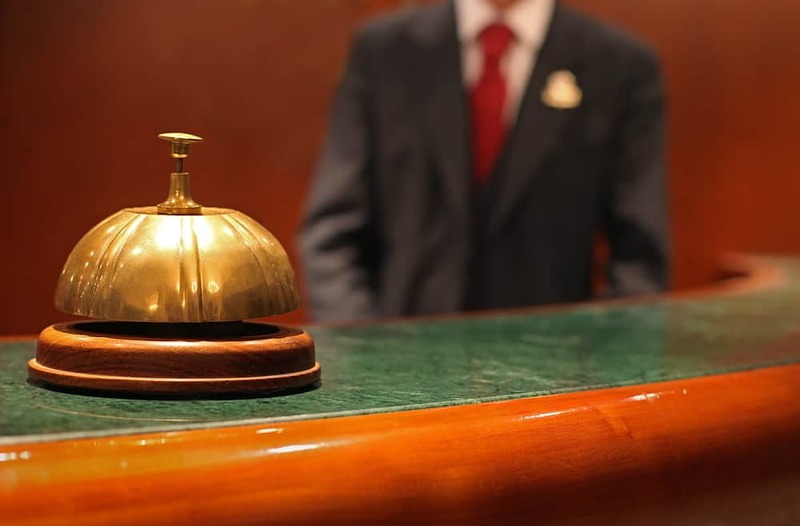 Moreover, 53 percent of consumers won’t even book a hotel that doesn’t have any online reviews. Are you a hotel or hospitality exec looking to maximize the word-of-mouth potential of online hotel reviews and ratings posted by your guests? We encourage you to sign up for a free trial of ReviewTrackers, a hotel review monitoring and online reputation management tool designed to meet the needs of businesses in the hotel and travel industry. Stay 1/12 & 13/2016:Exterior Door locks do not work, charged $5.00/guest/day for breakfast, Heater/ AC in room did not hold set temperature, ice machine did not work, unuasual long check-in torn carpet in room, final bill was more than quoted on reservation. Will not stay there again. Booked room in indianapolis comfort suites, on arriving found out there is a 20 dollar parking fee and 2.75 miscellaneous fee.when leaving there was another .75 cent fee. (We didn’t use phone or anything) had to enter through the pool area in back by the parking lot to get to room. Will not stay there again and don’t recommend it. I stay at the hotel in warren Huntington IN. The rooms are always spotless. The front desk employees always smiling and very attentive. Trying to find a site to put in a review is too hard.Who knows if this is the right place. On our receipt it said to click on the Write a review button there isn’t one! we stayed at the Comfort Suites on Museum Road in Conway Ar and the tub in room #102 was so stained it looked very dirty, You should try ZAP cleaner. Then the chairs in the breakfast room were just nasty, torn and very dirty. Also since we have stayed at the Comfort Suites a few days before and was in the system the person checking us in didn’t want to look it up,we had been told we would get a discount if we stayed often. What more can I say, The first place was good this one not so much. We and my husband stayed at the Fremont location, and we had an amzaing experience. The room was very clean and comfortable. The pool and hot tub were nice temps. Front desk was very helpful especially Danielle. We would recommend this place to anyone. Defenlty coming back.